This meeting format sounds like the Open Houses Sabal Trail held to snow and bully landowners. And notice it’s always “80 percent survey approval”, yet we never get to see any list of landowners? Plus pipeline companies are always working to improve their safety record, except it never seems to improve. See below for some recent highlights of KMI’s long lack of safety record. Would you buy a used car from Sabal Trail? Why should we accept any risk from a pipeline company that has repeatedly claimed not to be familiar with the public record of its long list of corrosion, leaks, and explosions? A pipeline company that has claimed land values wouldn’t be affected? That it’s “hard to believe” its own law firm sent threats of eminent domain to landowners, despite copies of those letters being sent to newspapers and FERC? That Georgia counties need its gas, after those same counties had already passed resolutions wanting Sabal Trail’s pipeline out of their county and state? A pipeline company that claims the Sunshine State needs its gas when its own figures show half the acreage could produce just as much solar power? Why should anybody in Albama, Georgia, or Florida accept any risk from that company from Houston, Texas? 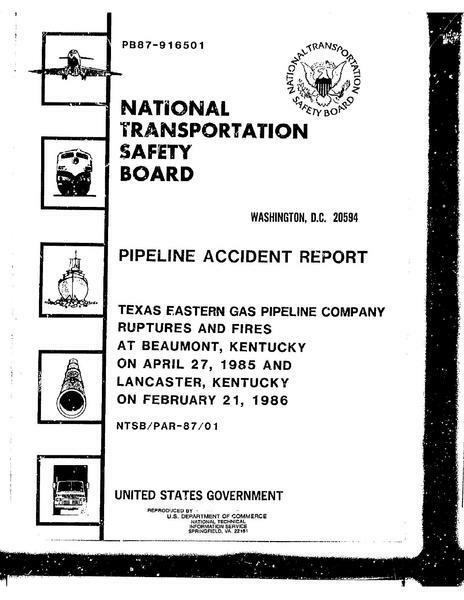 Tired of reporting on explosions unprevented by the Pipeline and Hazardous Materials Safety Administration, the National Transportation Safety Board (NTSB). just issued a damning set of recommendations to PHMSA, plus to an alphabet soup of other organizations to ride herd on PHMSA to try to get some improvement. How about instead we stop building new pipelines and get on with solar power? These three accidents resulted in 8 fatalities, over 50 injuries, and 41 homes destroyed with many more damaged. 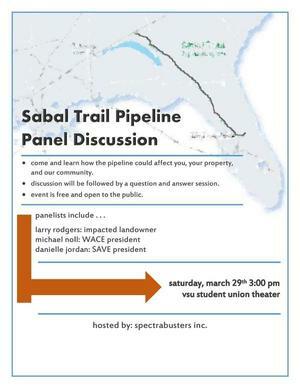 Disturbance of soil, exacerbating corrosion, needless risk through unnecessary crossings, and cutting corners through inappropriate boring methods: when even another pipeline company calls you out for those things, you’ve got a problem, Sabal Trail. 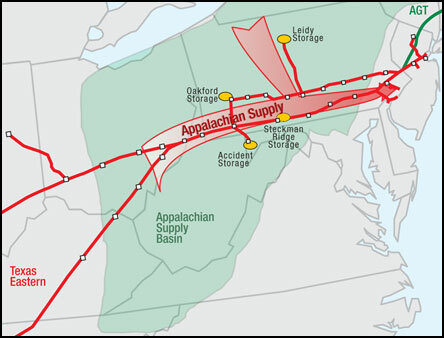 And Southern Natural Gas just did that in ecomments to FERC. Each crossing poses a risk during construction of the crossing as well as ongoing risks during operation and maintenance of the pipelines. Since the SNG pipeline must remain in service during construction of the crossings, each time Sabal Trail bores under, or cuts under, the SNG pipeline there is an increased risk that the integrity of the SNG pipeline will be compromised. 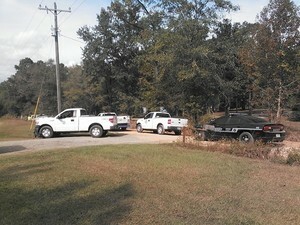 A humble county ditch puller broke SONAT’s pipeline on Bradford Road, resulting in Sheriff’s deputies from two counties, a city 911 vehicle, and an ambulance being scrambled, in addition to a fleet of Kinder Morgan vehicles. And me, since this break was only a few miles from my house, and the valve they used to turn off Berrien County is on my property. Neighbors I’ve known all my life were evacuated. One spark and they wouldn’t have had anything to come back to. And this was a 9 or 10-inch pipeline at 800PSI. Sabal Trail wants to run a 36-inch pipeline at twice the pressure, more than 20 times the gas. Why should any of us accept that risk for Sabal Trail’s corner-cutting profit? Not in a High Consequence Area (HCA)? Then a pipeline explosion may not even rate pictures on the news, even if your house or field or forest or river is what explodes. That’s what happened near Pilot Grove, Missouri 25 August 2008 on the Panhandle Eastern Pipeline 200 Line. 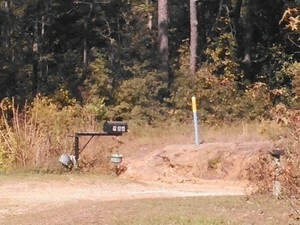 PHMSA, the so-called Pipeline and Hazardous Materials and Safety Administration, doesn’t actually know when the “impressed curent cathodic protection system” was energized, and doesn’t have the results of the last hydrostatic test, which was in 1955, 53 years before the pipeline corroded until it exploded. PHMSA’s Administrator just resigned, after continuing to let pipeline companies set the very definitions of accidents. Do you want to trust your air, water, property values, or safety to such an industry or such an agency? 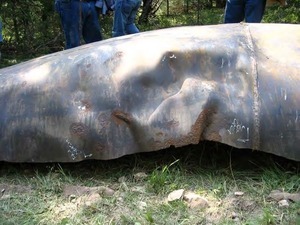 Another Panhandle Eastern pipeline in the area ruptured on Aug. 25, 2008, near Pilot Grove in Cooper County and caused $1,046,359 in damages, according to a company pipeline failure investigation report. Natural gas or oil pipelines are natural enemy targets, in addition to the way they frequently blow up on their own. Why build such hazards when solar power is faster, cheaper, cleaner, and doesn’t blow up? 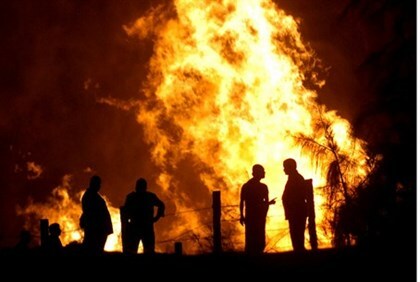 Strong explosion rocks central Sinai after explosives were planted beneath the gas pipeline connected to cement factories in the area. What happens if someone blows up a solar array? Flying glass, which is bad, but nothing like blowing up the explosive fuel inside a natural gas or oil pipeline, not to mention distributed rooftop solar arrays would be very hard to destroy enough of to match the energy denial of one damaged pipeline. That 1989 $15 million fine against Spectra for leaking PCBs at 89 pipeline locations was a record for EPA at that time, but Pennsylvania topped it a few years later. Texas Eastern Pipeline Corp. has agreed to pay Pennsylvania $18.6 million in penalties and $200 million in cleanup costs for dumping PCBs at 19 sites across the state, the Casey administration announced yesterday…. Remember, Texas Eastern is part of Spectra Energy now. Valdosta, 28 March 2014 — Come to the SpectraBusters community panel about the Sabal Trail methane Pipeline Saturday at Valdosta State University, to learn how the pipeline could affect you, your property, and our community. Discussion will be followed by a question and answer session, in this free event, to which elected and appointed officials and candidates and the public are invited. Three River Estates Property Owners, Inc.